The start of today´s special stage Volgograd – Elista was delayed to 01.30 p.m. due to the strong rains that hit the region and made the first part of the timed section impossible to drive. Competitors drove down the asphalt up to km 212.87 to take the start of this third special shortened to 275 km. In this part of the timed section, tracks were rare, and navigation is often practiced off-road. 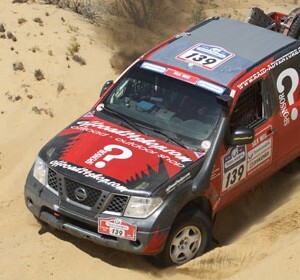 The track took competitors to sandy areas in the small dunes and the Scorpion Erg in the end of the steppe. 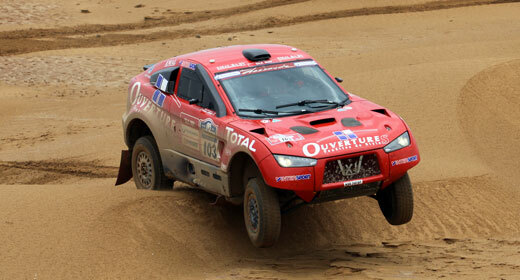 The finish was judged 100 km far from the bivouac of Elista, Capital of the Kalmoukie Republic. Christian Lavieille and Pascale Laroque (Proto Dessoude) scored their second stage win of the Silk Way Rally 2012, 2 minutes and 36 seconds in front of Vasilyev (GForce) and takes the overall lead followed by Jerome Pelichet and Xavier Panseri (Toyota Overdrive and Boris Gadasin (GForce). Outstanding revenge for the SMG crew composed by Benat Errandonea and Jean-Pierre Garcin. Yesterday they were blocked in the road and had to repair chasis and closed this new day with a third position in the standings. The fourth place was taken by Khale and Schuenneman, satisfied about their performance with the new Sam-Mercedez in front of Szalay. 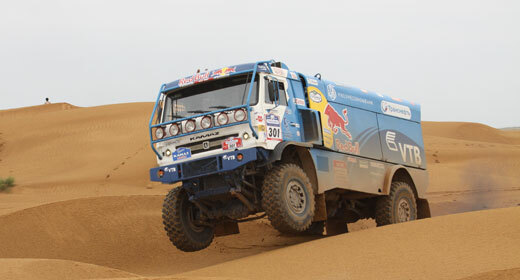 In trucks, the Kamaz crew Nikolaev/Savostin/Rybakob achieves its second stage victory in front of Loparis (MAN) and Mardeev (Kamaz). Misfortune for Chabot and Pilot (SMG) who faced a mechanical problem and wait for their assistance, and for Alvarez/Graue that broke the direction shaft, while Toni Gardemeister hit the car and was evacuated towards Astrakan to have medical exams.